Today was one of those days where I just wanted to move. After waking up and eating a hearty breakfast of apples and jelly toast, Momma and I hit the local bike trail for a 5 mile walk. Following our brisk walk, Momma took off to do some shopping, while I took a nap at home. When I woke up, I had the bright idea to attempt 5 more miles in the effort to make double digits today. I changed my clothes, laced up my sneaks, and headed out just in time to catch the sun setting over the mountains. 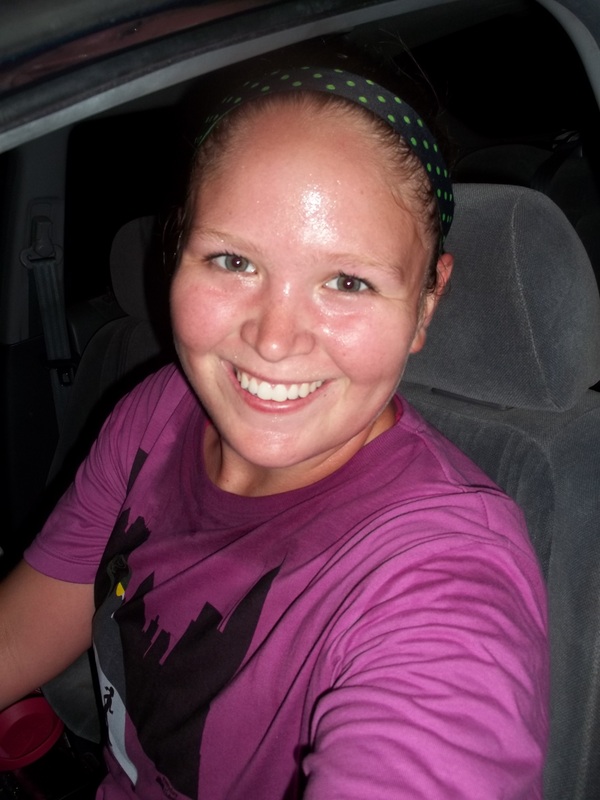 I decided to do a run/walk series and was able to successfully run 3.4 miles and walk 1.6, making it double digits! During my run portion, I thought about and saw a lot of things that made me thankful. I’m thankful for a great job and great co-workers. Now that I work at a gift boutique and stationery store, I get to work for a wonderful boss and have three great gals as my partners in crime. They are so uplifting and so encouraging. I love having awesome notes left on my paycheck. I’m thankful for my sight. Tonight there was a man leading his BLIND son along the bike trail. Blind. With a guide stick. I’m not sure if my sweat glands produced more sweat at that time or if I actually teared up a little, but it was definitely humbling. I should be so grateful that I can run freely without the aid of someone guiding me. 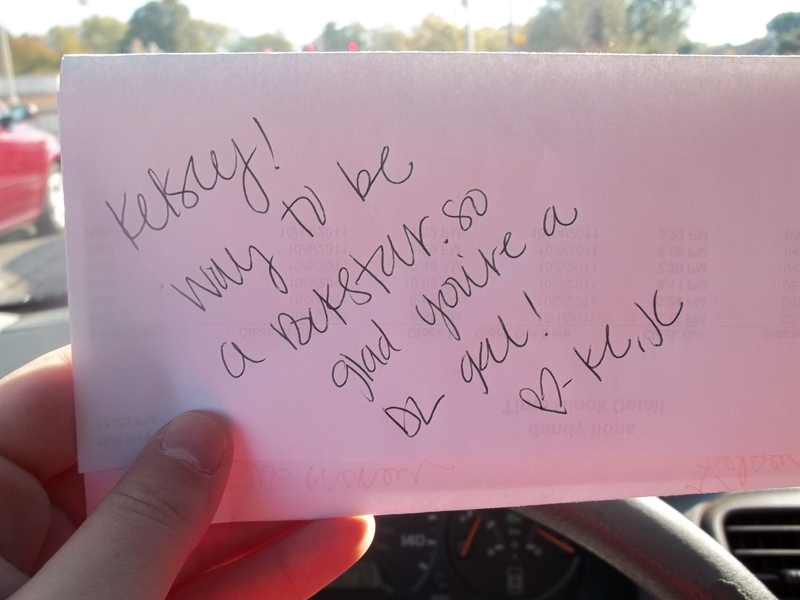 I’m thankful for random acts of kindness. Tonight on my run, I purposely planned to run to the campground that I used to work at so that I could get some much needed water. About half a mile from my destination, a super nice gentleman pulled over and told me that I was doing so good, and then handed me a bottle of water. Don’t worry all you stranger danger haters; I didn’t drink it. It is the thought that counts. 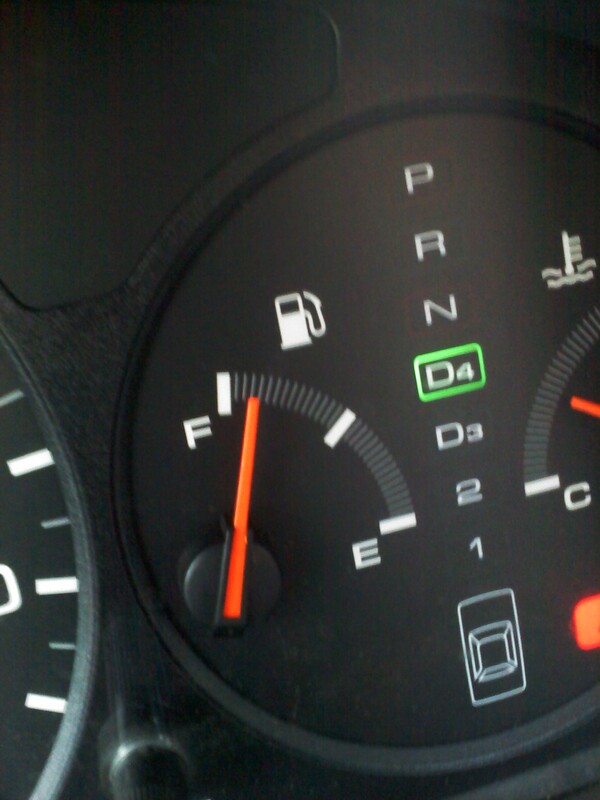 I’m thankful for a full tank of gas. I put a lot of mileage on my car, and although I get almost 30 mpg, it is still a struggle to keep my car on full. Well, almost a full tank. Today couldn’t have been more perfect, and even though my pace wasn’t super duper fast, I still got out there, moved my body, and got my sweat on. Today was a big confidence boost in my own ability and I can’t wait to get out there again tomorrow and chase my dreams. Amazing job getting in double digits today Kelsey, wow!! Great job on double digits 🙂 I think it makes just a huge difference when we work with people we enjoy! Kelsey- Would you mind sharing how you trained for your half. I want a half in my future…and starting to gather info. Thanks! I have followed your blog for a long time. If you’re ever in Knoxville and want to walk (I’m pretty sure I am to big to run) I’d love to meet up. I’m on Facebook too Becca Anderson Griggs and I think Valerie Fowler is a mutual friend. She is such an inspiration too! !